The tame bear, called Stepan – who has been raised by a Russian couple in their home since he was abandoned at birth – was being photographed with a model, known only as Irina, by Olga Barantseva. 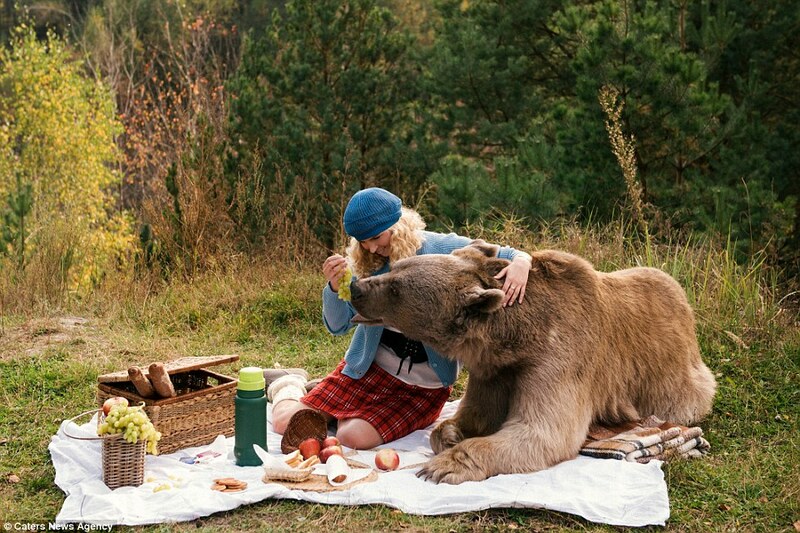 Stepan has even been raised as a vegetarian, so Olga claims he’s never inclined to take a bite out of his picnic pals for his own lunch. 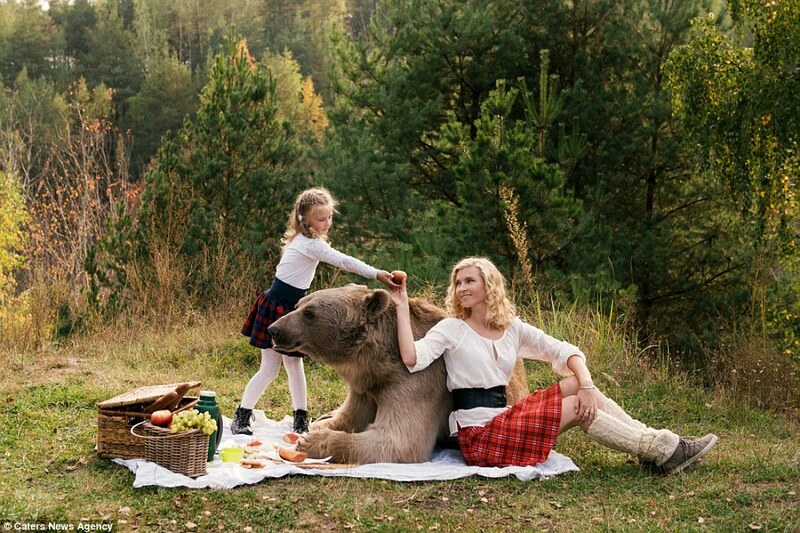 “Stepan doesn’t know the taste of meat – he loves mozzarella and cookies. 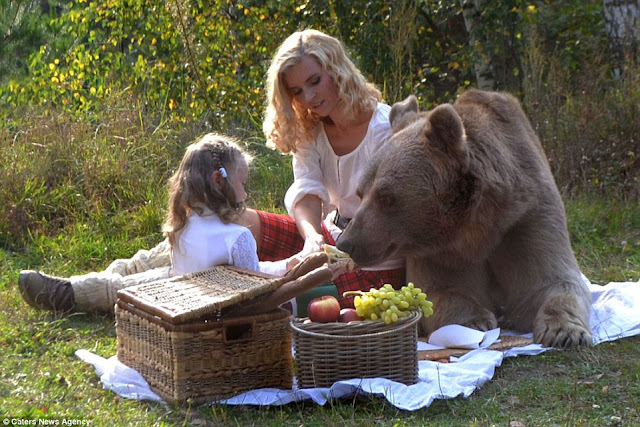 He is in constant communication with people and knows what kindness and care are. 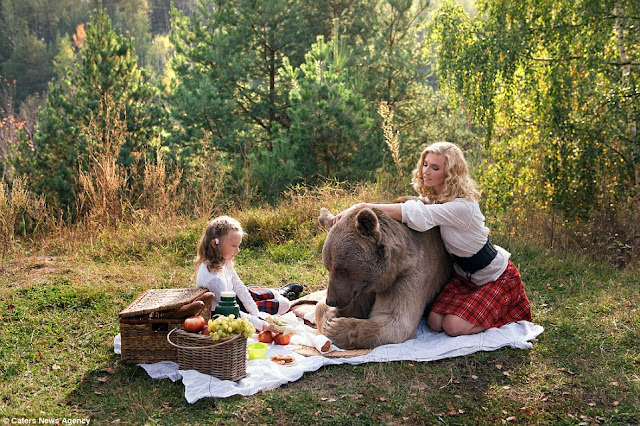 The images show the two feeding, hugging and even straddling the massive animal while they enjoy a picnic in a field. 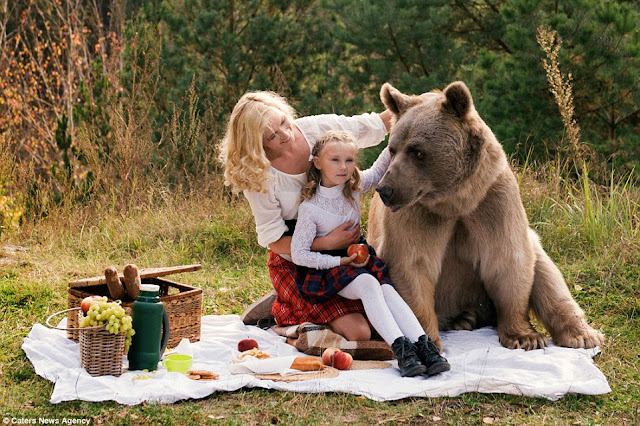 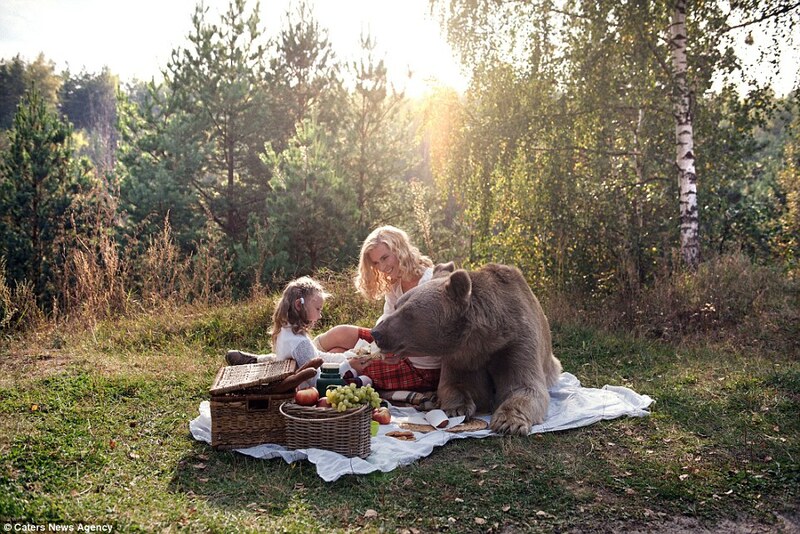 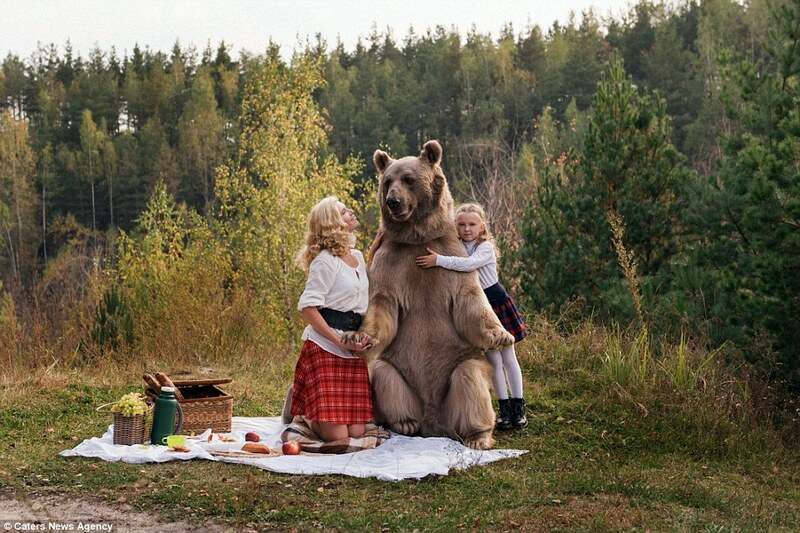 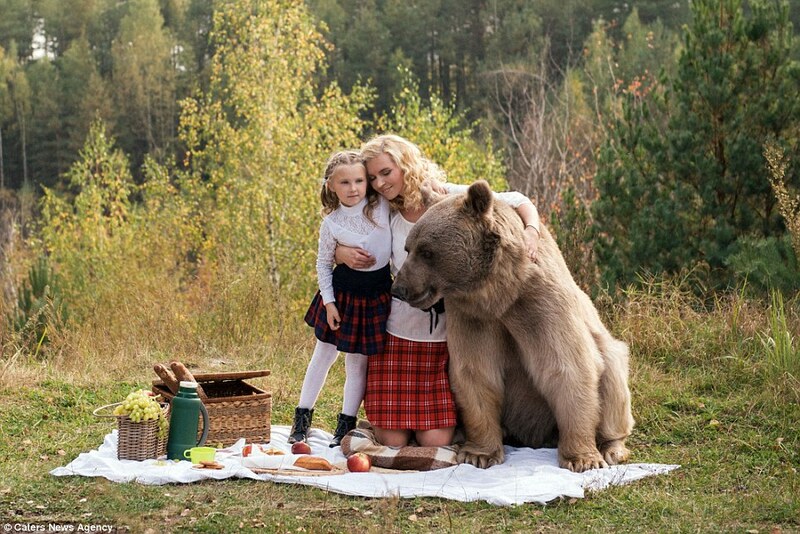 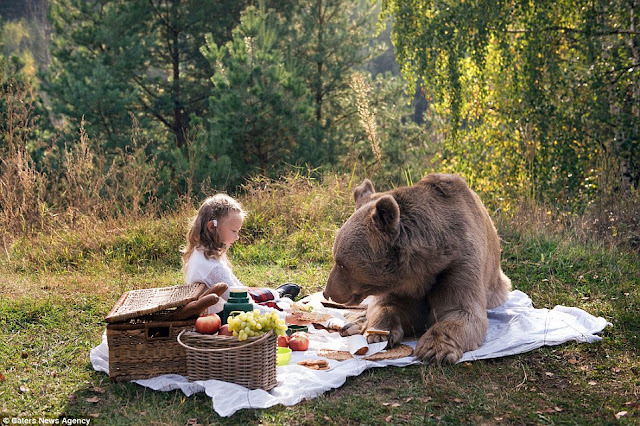 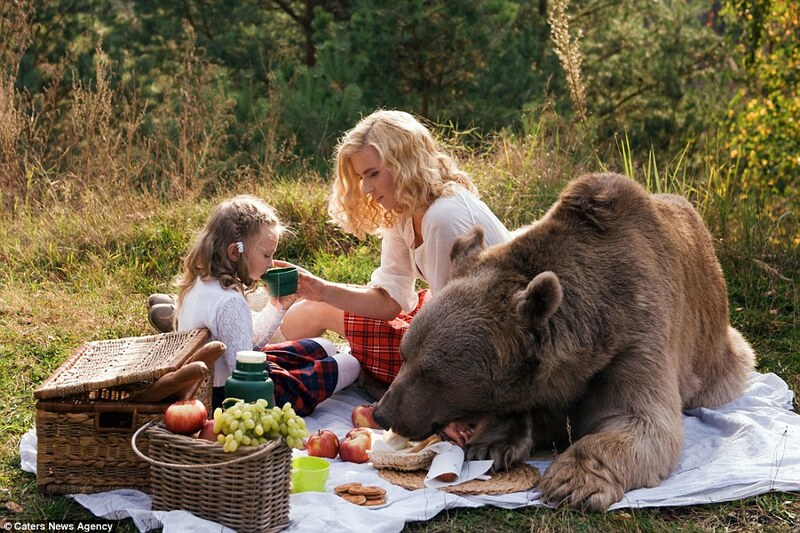 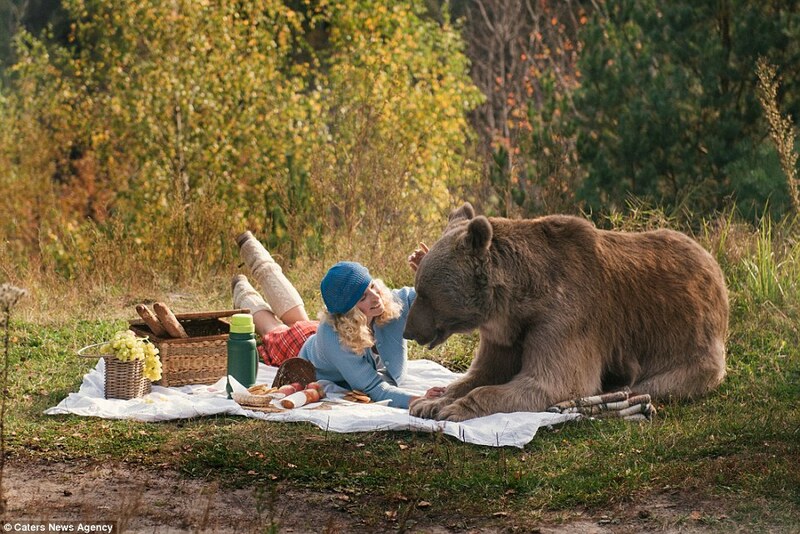 Responses to "Mother and daughter have a teddy bear's picnic with real-life bear"